The Viareggio Carnival, which dates back to 1873, isthe main festive event in Tuscany. The carnival is held at the beginning of the year, before the Catholic Lent. Pageants are held during three weekends, as well as on the so-called “Fat Tuesday”. But that doesn't mean that you will have nothing to do on weekdays between the pageants. The providers of the carnival prepare various theater performances, sport contests, culinary and wine fests. Only kids take the Viareggio Carnival as a happy masquerade. They willingly dress into costumes of cartoon heroes, princes and princesses. But the real heroes of the event are allegorical paper-mache floats, which parade on platform wagons along the seafront of Viareggio. It is believed that the idea of their creation originated from ship-repairing yards of the seaside town, Versilia. Paper-mache floats move around the seafront day and night. Unlike the Venice Carnival, the Viareggio Carnival is famous for political satire. You can see caricatures of well-known politicians, outstanding economists, businessmen, sportsmen and showmen on giant platforms. Caricatures of the Italian top politicians are especially popular. But for modern heroes, there are traditional masks on the carnival. Burlamacco, created by a Viareggio native, Uberto Bonnetti, is the symbol of the Viareggio Carnival. The carnival wagons with caricature floats are voted and awarded prizes. For more than 50 years, the feast in Viareggio has been broadcast not only by Italian channels, but also in many other European countries. But for thousands of people TV translation is not enough. They want to see it real, feel the atmosphere of joy, and enjoy the sea scenery again; so they come to Viareggio for the Carnival. That is why it is definitely a good idea to think about accommodation in Viareggio in advance. 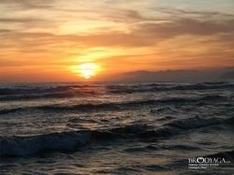 Viareggio is one of the oldest and most popular resorts in Tuscany. Viareggio is located right on the shore of the Ligurian Sea, in the area known as “Riviera di Versilia”. 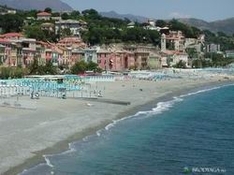 The list of the most famous Italian resorts includes Tuscan Versilia. Versilia is a seacoast in north-western Tuscany, which stretches for twenty five kilometers along the shores of the Ligurian Sea and the Tyrrhenian Sea. The Apuan Alps form a peculiar background for the beautiful landscape.